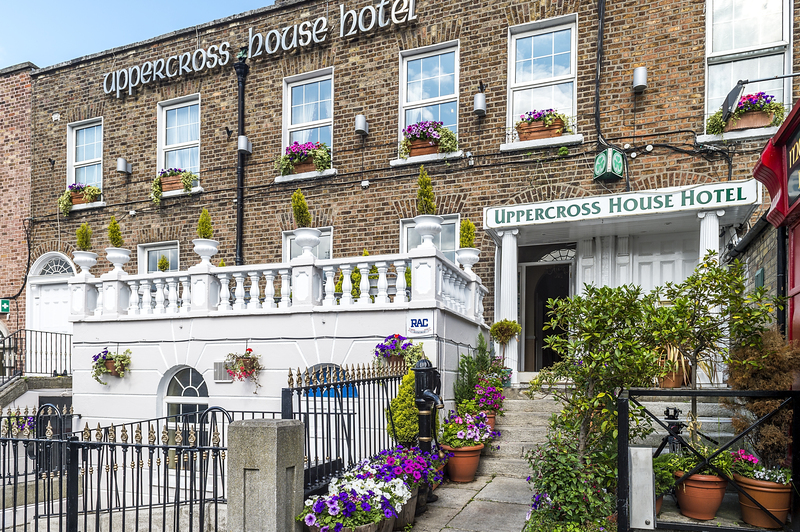 The Uppercross House Hotel is a beautiful 3 star boutique hotel situated in the heart of Rathmines, 2km south of Dublin city. The area has a distinctive wealth of tree lined streets and architecture and combines all the is best and most convenient in city life, great shopping, all forms of recreational centres and an array of restaurants, night life and excellent antique. We are ideally located in the bustling area of Rathmines, 2km south of Dublin City. A 25 minute stroll will take you into the heart of the city centre. Alternatively, you can take the bus into town, the bus stop and taxi rank are just outside the door and the luas tram station is around the corner. You'll be in the city in five minutes. Dublin with 1000 years old history is considered one of the major tourist attractions in Europe. This is the capitol of Ireland with rich of historical landmarks. This city is by the sea, harbours and lies nestled among hills and mountains. Had a very enjoyable stay at this hotel - the staff were extremely friendly and welcoming. The location is great with car parking. (The car park is found by driving through an archway at the front of the hotel.) There is free wifi as well as use of a computer with printer and coffee in a section beside reception. There is a lovely bar Mother Reilly's attached to the hotel which had live music on the night we stayed. We had a delightful 2 course meal as well as a substantial cooked breakfast the following morning! Perfect for my needs. Very friendly and helpful staff. Room was clean and comfortable and a good breakfast in the morning. Great value in overpriced Dublin too. Staff very friendly, accommodation very comfortable, food excellent. Location very central, with public transport available from the door. I had a vey enjoyable stay in this hotel and I would highly recommend it to anyone. Hotel was great.Staff extremely friendly.Underfloor heating in the room was lovely.Lots of space and sparkling water complimentary which was a bonus.We were at the last minute for breakfast but it wasn't a problem.They even wrapped up my daughters left over breakfast for her to eat later!I would stay there again for definite. The location was perfect for out visit to Dublin. Comfortable stay & nice breakfast to start out the day. Room very clean, small but fine for one night. Staff very nice and helpul. Free parking was a huge bonus. 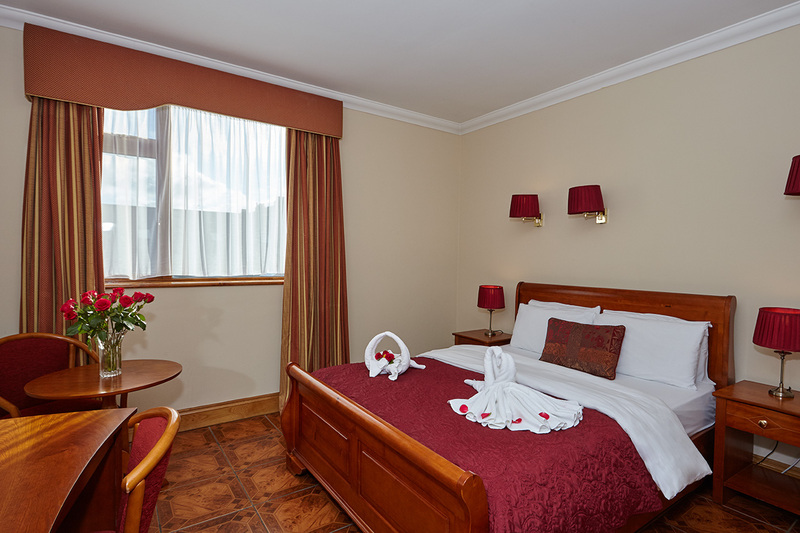 WE STAYED IN THE UPPERCROSS HOTEL IN RATHMINES , WE HAD A LOVELY STAY , THE STAFF WERE FRIENDLY , HELPFUL AND VERY WELCOMING , IT IS LIKE A HOME FROM HOME . CLEAN AND TIDY , IT MET WITH ALL OUR NEEDS . MOTHER REILLYS BAR RESTURANT , THE FOOD WAS VERY GOOD , WE HAD A FEW PINTS OF GUINNESS , IT WAS ALL TOP CLASS . WE WOULD STAY THERE AGAIN . FANTASTIC BUS SERVICE INTO TOWN . Stayed here for one ngt.....The staff were welcoming and friendly.....the room was spotless.....I am afraid the food let it down but I would stay here again, great location. My husband, our little daughter and myself stayed here for one night in January 2014. I found our room 114 to be exceedingly clean, comfortable and warm. We all had a peaceful, quiet night's sleep. The staff were very friendly and we all felt at home here. The location of the hotel is very convenient for the city centre. I would have no hesitation in returning to this hotel again. Well done to all those working there! Thank you. Stayed for 1 night. Staff are really lovely. Room ok a bit worn & maybe in need of some TLC. Breakfast was good. Nice selection for the continental breakfast buffet & cooked breakfast was good & served with a smile. Great location for town. Great parking & it was free. We found the hotel fairly basic but adequate and definitely good value for bed and breakfast rate which we paid. The bedroom and en-suite were well-equipped for a 3-star hotel. We requested a bedroom away from the front of the building which probably gets a lot of traffic noise. The breakfast was more than adequate. Free off-street parking at the back of the hotel is an added bonus. The hotel is located within short bus journey range of the city centre. We would recommend it as a convenient, value-for-money place to stay. 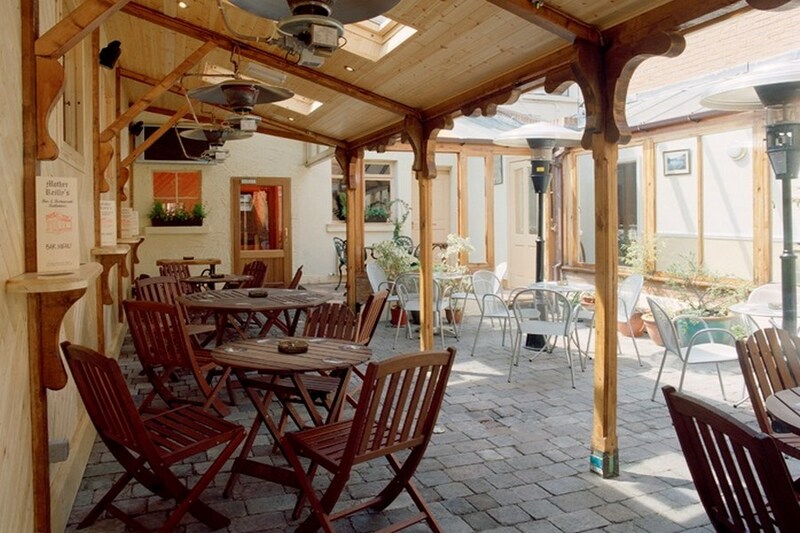 This is a family run hotel situated in Rathmines village. Like a lot of family run establishments it sits on a very fine line between being homely and very efficient. I have still to make up my mind. Mostly we got great service except when we booked in. We were early , but that does not excuse being treated in a very offhanded manner. The owner and his wife we found very hospitable. The breakfast and breakfast staff were a joy and well worth the experience alone. Most important of all this hotel was very clean. Loved the place...staff were so friendly and helpful ....the rooms spotless....bar and breakfast were excellent...would have no problem recommending it as for the value for money and friendliness a lot more of the "bigger" hotels could take note. Really Nice Quirky Little Hotel. Staff & Service really good good. Will stay again! Excellent Location. Very friendly staff. Lovely hotel, photos do not do it justice. Will definitely stay there again. Great stay at hotel, Rooms were good, Staff pleasant. The only complaint was rooms were too hot - but hard to suit everyone. Would definitely stay here again. We found the above hotel excellent. We did have a problem but this was dealt with promptly by the very pleasant staff. Great value. near to aviva for concerts and food on special package is reasonable. hot water in the shower was a disaster tho.